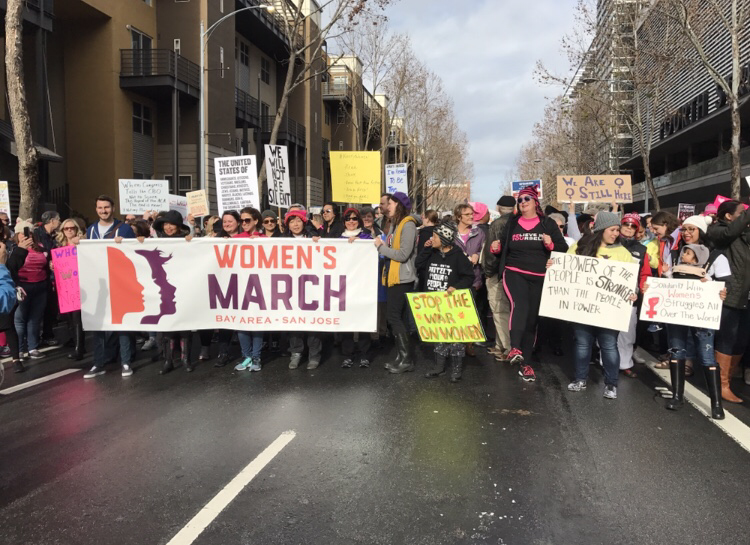 Last year on January 21st, I participated in the Women’s March in San Jose. 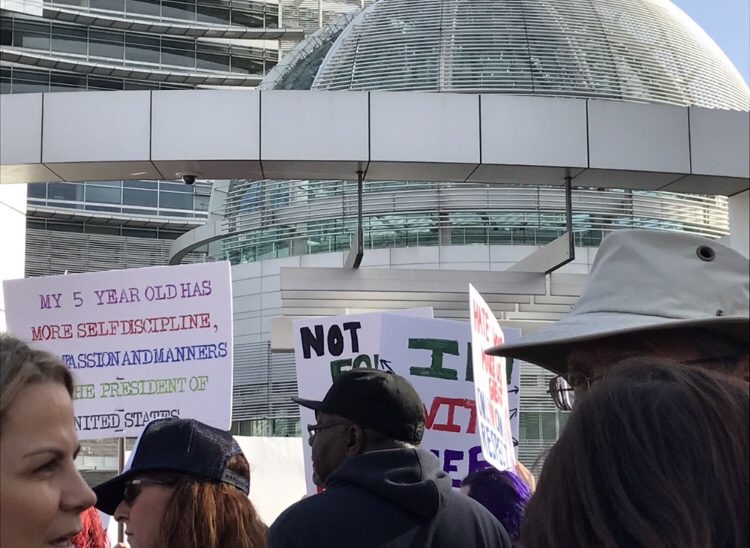 It was a historic day for myself and many women, men, and children of all ages as we participated to show our feelings and responses to the results of the Presidential election. 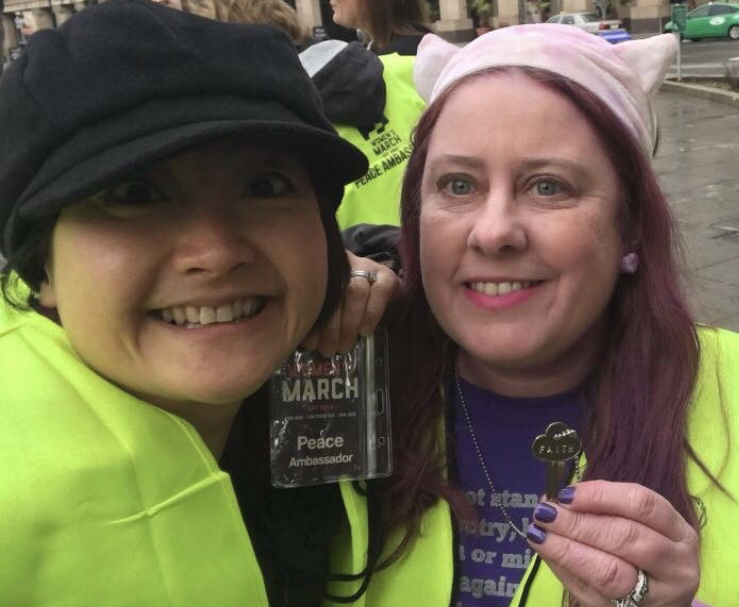 I was honored to be one of the Peace Ambassadors chosen, along with my friend, Mei-Hsia, to help with crowd control so that the event would be an orderly one. That day I wore a pink cat hat as did many women and a Giving Key with Faith on it. 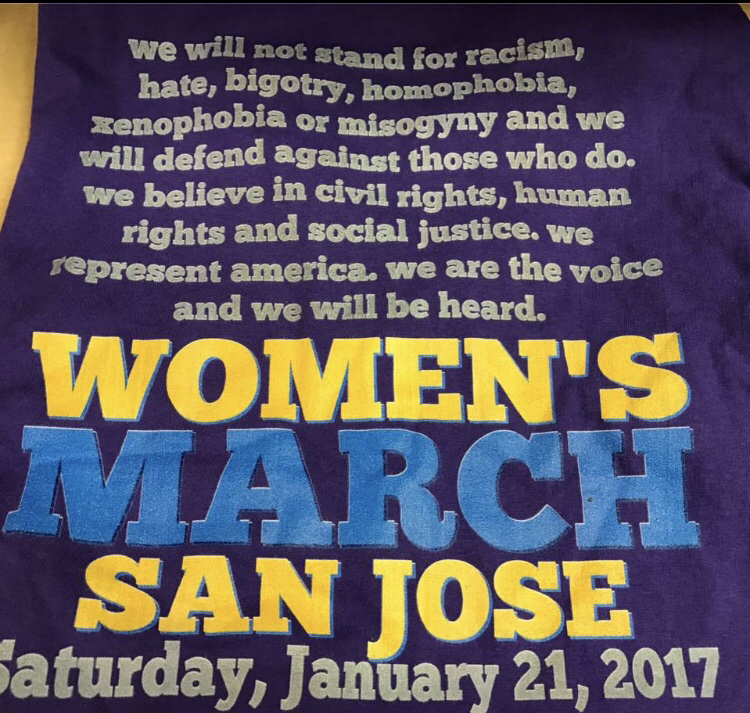 There were several Women’s March shirts out there. This one said all my feelings for me (even though I had to have most of it covered up by the yellow safety vest signifying that I was a Peace Ambassador. 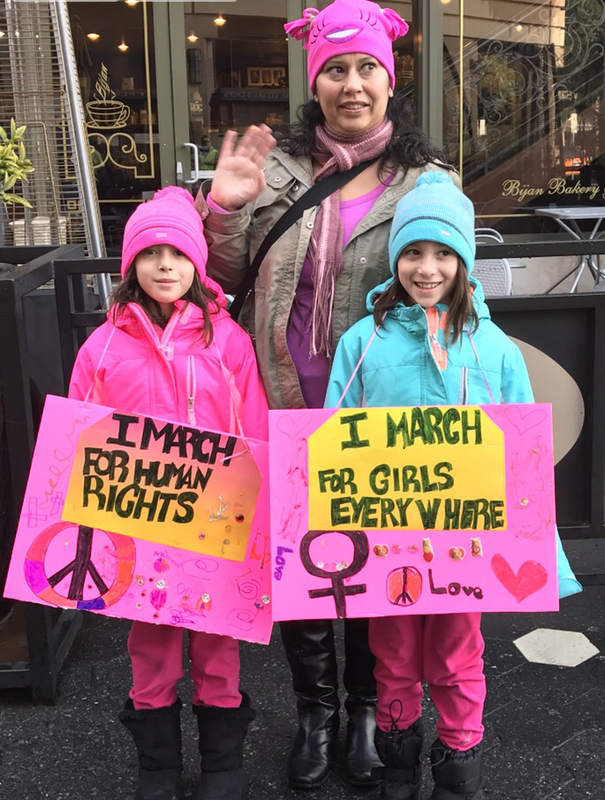 On my way to the march route, I ran into this mom with her daughters. I love how she was teaching them to support other girls and women and I hope they had a wonderful time at the event. 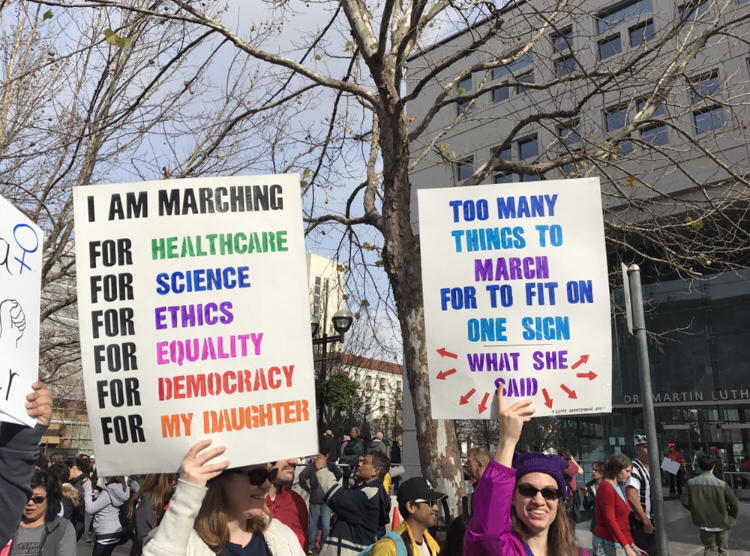 At the time I had wondered if perhaps I was also marching for a future daughter that I would have. As Ambassadors we had to be on the move a lot. I was only able to take one photo with the glass dome and the marchers as a result. I really loved the spirit and the messages of the day. Some of the signs were funny, most others were serious. Some contained language I wouldn’t post here, that were very effective. These G rated ones were among my favorites. One of the best parts was being able to be up for the front to see the official start. It was so great to see so many people there after the forecast had called for a lot of rain. The actually day had some rain, though that did not stop the marchers from assembling and marching. It was an honor to help out with this event, one that was part of a large historic movement. It was very peaceful, and in my opinion this was not as there were police and Peace Ambassadors there, it was that the people who attended had one or more messages they wanted delivered in a peaceful way. I think of this event as one of the first and most significant events that happened for me last year outside of my nuclear family and core friends. While I will not be attending the follow up event this year, I wish all those who march a wonderful day.